Dialog announced the agreement in a press release on Thursday (PDF link), saying Apple will pay $300 million to license power management technologies and acquire more than 300 employees representing 16 percent of the firm's workforce, many of whom already work closely with Apple on various projects. The employees will remain in Europe and report to Apple SVP of Hardware Technologies Johny Srouji. Apple is also taking over Dialog facilities in the U.K., Italy and Germany. Along with the up-front cash payment, a separate $300 million outlay is earmarked for other Dialog assets and products to be delivered over the next three years. At $600 million, the deal stands as one of Apple's biggest investments in an outside company. While it pales in comparison to 2014's $3 billion Beats buy, today's Dialog agreement dwarfs the $360 million purchase of Israeli firm PrimeSense and represents the largest assimilation of employees in company history. "Dialog has deep expertise in chip development, and we are thrilled to have this talented group of engineers who've long supported our products now working directly for Apple," Srouji said in a statement. "Our relationship with Dialog goes all the way back to the early iPhones, and we look forward to continuing this long-standing relationship with them." Today's news assuages concerns over the stability of Dialog's business, which has over the past decade become increasingly reliant on Apple component orders. 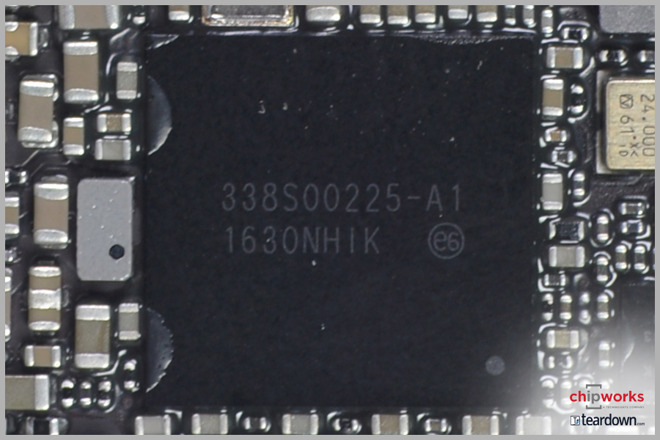 Last November, reports claimed Apple was designing its own power management chips that would see integration in products like iPhone and iPad as soon as this year. A month after rumors of an in-house PMIC surfaced, Dialog CEO Jalal Bagherli addressed the specter of being ousted from Apple's lucrative supply chain in an investor conference call. While he admitted the Cupertino tech giant had the technical capability to develop and outsource its own chips, Bagherli said Dialog was collaborating on "2019-type products" and expected to sign a contract order in March. Dialog's relationship with Apple apparently sweetened in the intervening months. Along with power management assets, and the employees to work on said technologies, Apple inked a "broad range" of new contracts for audio subsystem, charging and other mixed-signal integrated circuits, Dialog said today. The company expects revenue from said contracts to materialize in 2019 and accelerate over the following two years. "This transaction reaffirms our long-standing relationship with Apple, and demonstrates the value of the strong business and technologies we have built at Dialog," Bagherli said in a statement. "Going forward, we will have a clear strategic focus, building on our custom and configurable mixed-signal IC expertise and world-class power-efficient design. Our execution track record, deep customer relationships, and talented employees give us great confidence in our future growth prospects." Apple orders are estimated to account for approximately 75 percent of Dialog's 2018 revenue — about $875 million generated from current generation main PMICs and another $150 million from sub-PMICs and other chips. Following the acquisition, Dialog intends to focus on "Internet of Things," automotive and industrial projects, a strategy set to decrease Apple-derived revenue to roughly 30 to 45 percent of the whole by 2022. Navigating the sometimes treacherous waters that go hand-in-hand with being a major Apple supplier is no small feat, as evidenced by former partner Imagination Technologies. A European chipmaker specializing in GPU technology, Imagination lost Apple's business when the tech titan decided to design its own iPhone and iPad graphics architecture. After an unsuccessful "dispute resolution process," Imagination was ultimately sold off to a China-backed equity firm last year. The Dialog asset acquisition bolsters Apple's efforts to bring important silicon development and design in-house. The ambitious initiative began in earnest with the first custom A-series system-on-chip — the 2010 iPad's A4 — and has since branched off into projects like AirPods' W1 wireless chip, Apple Watch S-series processors and Mac T-series security chips. Apple's most advanced silicon design, the A12 Bionic, debuted last month with iPhone XS and incorporates a six-core CPU, four-core GPU and next-generation Neural Engine capable of processing 5 trillion operations per second. Apple's deal with Dialog is expected to close in the first half of 2019 pending regulatory approval.